Windows App Boss is a handy tool to manage Windows 8 apps from the desktop. 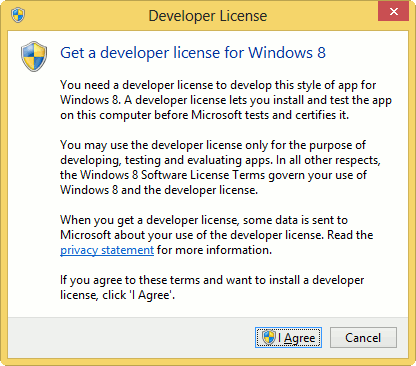 You can install, uninstall and even request a developer license from Microsoft through this program. It makes it easy for developers and the average PC user. Windows App Boss can be downloaded from its CodePlex page. It doesn’t need to be installed, so you can start using it as soon as it’s finished downloading. When you first start using Windows App Boss, it’ll take a few seconds to populate its database with the apps installed on your computer. Once filled, you can see the name, version, publisher and family the app belongs to. This is often information that you don’t have access to when you install/uninstall Windows 8 apps. Windows App Boss lets you install Windows Store apps as well as test-signed apps which may not have been approved yet by Microsoft to appear in the store. Click “Install” in the top left corner to open the Advanced Package Installer. 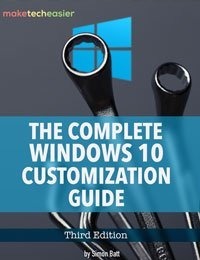 This is the utility to use to install apps manually as opposed to doing it through the Windows Store. As always, be careful what you install in Windows 8 especially if you’re not familiar with the source. 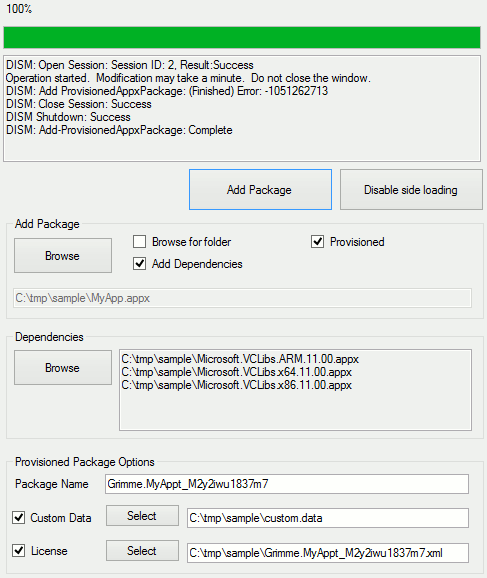 You just have to add the package, add the dependencies and then select the right options before proceeding with the install. This is definitely for more advanced users but can be beneficial if you want to use an app not offered on the Windows Store, yet. On the main screen, you can click on any app to get more information, open it or uninstall it. You’ll be able to view the Settings.dat file for the app, which is something you can’t access from the app directly when launched. These are the background settings for the app and how it runs on Windows 8 and not the traditional app settings you’re used to tinkering with. By clicking “Snap Shots,” you can actually take snapshots of the app’s state which can be useful for diagnosing problems or submitting bug reports to a developer to help improve an app. You can even restore an app to a previous state by using this mini-restore tool. Uninstalling an app can also be done from the desktop in Windows App Boss. Just highlight an app and click “Uninstall.” A small pop-up window will appear and run through the basic uninstall process, the same way you would be uninstalling an app from the Start screen. There is no difference in uninstalling an app through Windows App Boss or the way Windows lets you from the Start screen. Windows App Boss also lets you manage your Windows Developer License from its program as opposed to having to go through Power Shell to do it. If you haven’t acquired a license before, you can start by doing that. 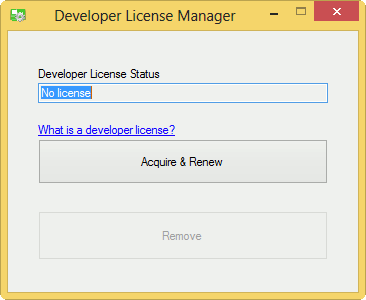 From there, you can manage, renew and remove the license as necessary while you work on apps for Windows 8. Windows App Boss lets you work from the desktop and interact with apps in Windows 8 in ways Microsoft doesn’t. If you’re looking for more information on Windows 8 apps or even to develop your own, Windows App Boss is just one way to go about it. Let us know in the comments below if you have another preferred way.